Citizen Cope has been pursuing his laid-back brand of hip-hop-inflected rock for over a decade now. He began his music career as a DJ for Washington rap collective Basehead, and his R 'n' B inclinations have stayed with him throughout his solo work, creating a beat-driven sound that was way ahead of its time. 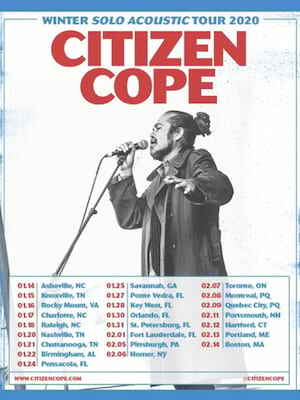 Citizen Cope has been pursuing his laid-back brand of hip-hop-inflected rock for over a decade now. This year he's back on the road in support of his new record Heroin and Helicopters. His first in seven years, he'll be joined by his full band as he delves into his thoughts on religion, politics, and society as teased in lead single 'Justice'. His seminal record, The Clarence Greenwood Recordings, was released over a decade ago but still remains his most impressive achievement, a record which blends together reggae grooves, East Coast beats and intimate lyricism into a complete whole. Among its highlights are "Son's Gonna Rise" which features Carlos Santana providing some sunny guitar lines, and "Bullet and a Target", which tackled gun violence and terrorism in its stream of consciousness verses. Sound good to you? 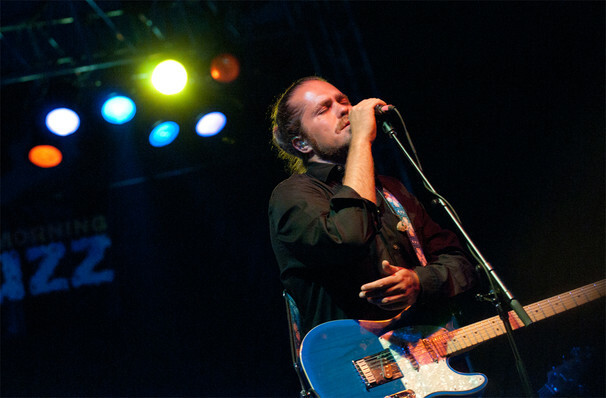 Share this page on social media and let your friends know about Citizen Cope at House of Blues. 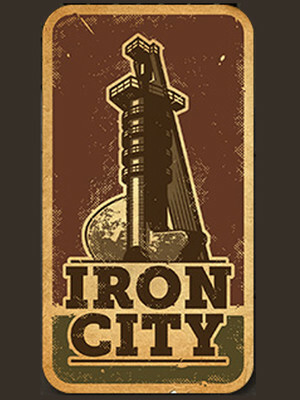 Please note: The term House of Blues and/or Citizen Cope as well as all associated graphics, logos, and/or other trademarks, tradenames or copyrights are the property of the House of Blues and/or Citizen Cope and are used herein for factual descriptive purposes only. We are in no way associated with or authorized by the House of Blues and/or Citizen Cope and neither that entity nor any of its affiliates have licensed or endorsed us to sell tickets, goods and or services in conjunction with their events.